Polio was NOT Prevented by "vaccination"
How do YOU Protect YOUR Children, Your Family and Yourself from Polio and Many Other Diseases? IMO a good start is NO VACCINATION "Vaccination" is a deadly fraud. It has "protected" very few and has injected into "vaccination" victims MANY diseases to include Polio, Autism the ASD diseases, the Diseases of "Vaccination" and the diseases of Weaponized Mycoplasma. Any Industry using Monkey Kidneys to produce "vaccines" does not give a damn about your life IMO. "It’s being considered a severe respiratory virus, known as EV-D68. It hits hard and fast and has already created an outbreak in Colorado, Missouri, Utah, Kansas, Illinois, Ohio, and four more states in the Midwest. It has also crossed over the Canada with confirmed cases in Alberta, British Columbia and Ontario. Although there is no known vaccine for the virus, ironically a common theme has been discovered in those who have been infected… they have all been vaccinated.” Mysterious Virus Spreading Across U.S. and Canada And Primarily Affecting Vaccinated Children Note folks the "vaccination" immunosupression of our immune systems is SHOWING UP in ways that CANNOT be denied. We have ignored AUTISM and SIDS, please don't ignore this. “The American Academy of Otolaryngology-Head and Neck Surgery currently recommends that "children who have three or more tonsillar infections a year undergo a tonsillectomy" Note these guys belong in a special prison where they are “vaccinated” once a day; the “vaccination” does not matter they are dead in a year." Tonsillectomy Confidential: doctors ignore polio epidemics and high school biology Note IMO these guys belong in a special prison where they are “vaccinated” once a day; the “vaccination” does not matter they are dead in a year. 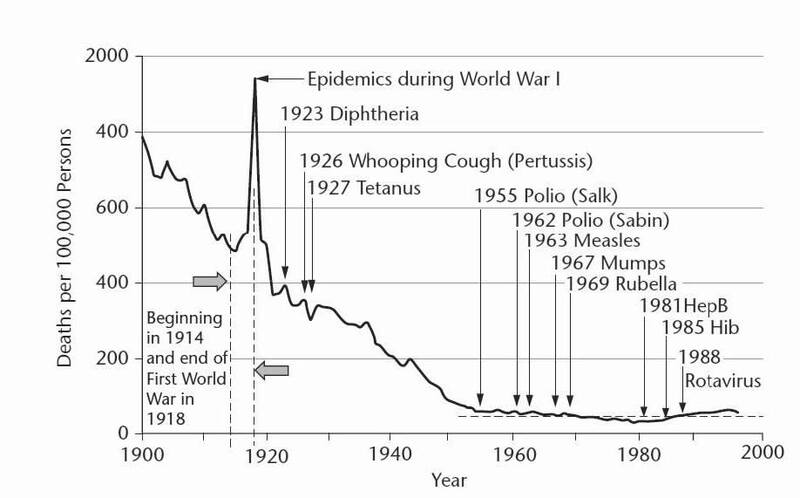 Where did the Polio "Epidemic" of 1940 - 1960 Come From? The mystery of Polio is explaining the the rise and fall of polio between 1940 and 1960. "People from states receiving high-SV40 OPV now get osteosarcoma tumors at ten times the rate of those with SV40-free lot numbers.17"
"WOW what a bio-weapon this "wonderful polio vaccine" turned out to be." The "diphtheria and pertussis vaccines" were used to drive up the occurrences of polio. Doctor Bernice Eddy of NIH warned that SV-40 caused cancer in primates. She lost her research lab and research position. Those in charge of NIH silenced Doctor Eddy. Why?. Documents now conclusively prove that SV40 was never removed from the vaccine stocks after 1963… SV40 tainted seeds were never thrown away — they were used in OPV (oral polio vaccine) for millions of children for nearly four decades12. Nearly 70% of mesothelioma cases test positive for SV40. Ten percent of those never exposed directly to tainted vaccines test SV40-positive. This is a TERRIBLE result of "vaccination"; we are creating new multigenerational disease with "vaccines". Chilling News about the "Wonderful Polio Vaccine"
"Production was already underway and the goal was to move the vaccine along as fast as possible. Unfortunately, Eddy discovered a problem; some batches of the vaccination caused paralysis in the test monkeys. Dutifully, she reported her findings to her superior and, to underline the need for caution and more careful evaluation of the vaccine before giving it to children, she sent along photos of a monkey seizing up in paralysis. Yet a surprising thing happened: instead of pausing production of the vaccination, the 'higher ups' at the NIH allowed it to continue. Eddy, though, continued to experiment with different cultures upon which the vaccine was based and discovered that hamsters developed tumors after being injected with a particular culture. After presenting her data at a conference, other researchers pursued this same line of investigation and in 1960 it was discovered that some vaccines had been contaminated with Simian virus 40 (SV40), a virus found in some species of monkeys. Although two pharmaceutical companies, Merck and Parke-Davis, immediately recalled their polio vaccine, the NIH did not follow suit. "By 1960, the Salk injectible polio vaccine (IPV) had been administered to about 98 million American children and adults ... and it was estimated that 10% to 30% of the vaccines contained live SV40.... The tainted vaccines continued to be administered until 1963," said Michael Horwin in an article originally published in Albany Law Journal of Science & Technology." CDC Removes Webpage About Polio Vaccine Contamination: Further Admission Of Guilt? The third generation after receiving the "cancer causing polio vaccine" by their grandparents is VERY likely to pass the PROVEN cancer causing SV-40 virus to their offspring ad infinitum. WOW what a bio-weapon this "wonderful polio vaccine" turned out to be. Doctor Suzanne Humphries MD discusses vaccines and polio. Video. Note this is a marvelous video by a marvelous Doctor. Doctor Humphries lays bare the awful truth of the "polio epidemic" and the worse than awful "polio vaccine" it was designed to produce. How the "Polio Vaccination" Appeared to make Polio "go away"
"In New Delhi, India, prior to 2000, ASD/PDD (autism spectrum disorder/pervasive developmental disorder) symptoms were rare – typically only occurring in children who were vaccinated abroad. 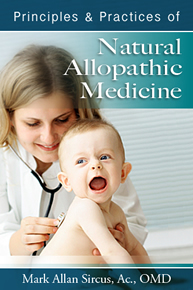 However, after the Indian pediatricians began recommending, in 2000, the addition of triple-dose Thimerosal-preserved Hib (Haemophilis influenza B) and Hep B (hepatitis B) vaccination programs to the existing Thimerosal-preserved triple dose DTP (diphtheria toxin, tetanus toxin and pertussis toxins) vaccination program recommended by the Government of India, the incidence of a childhood ASD/PDD diagnosis increased to 2 % to 4 % of vaccinated New Delhi children.” Doctor Paul King PhD, Note folks here it is. Read and reread this PLEASE. please observe all the mercury being dumped into these innocent Indian children. In the USA much of this neurotoxic mercury has been removed. IMO this is no accident. Depopulation is underway in India and China as well as the USA. The incidence of NPAFP in India in 2011 was 12 times higher than expected and was found to be directly proportional to doses of oral polio received. Though it may be called "Non-Polio" the symptoms of NPAFP are clinically indistinguishable from polio paralysis and the illness is twice as deadly. 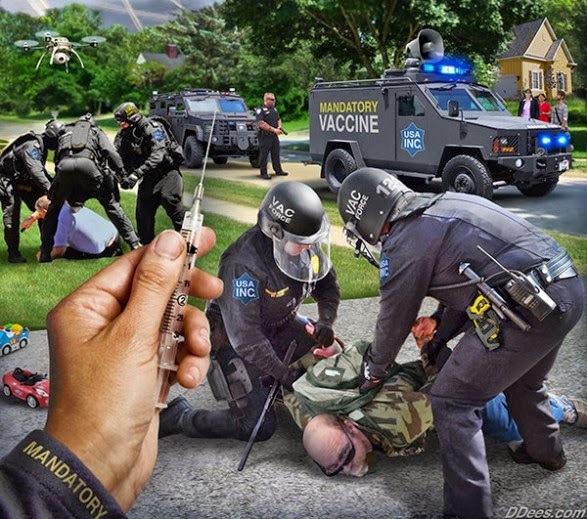 NPAFP is only a SMALL part of the horrible costs India is bearing for their plunge into the autistic nightmare they have unleashed to make a few more tens of billions for Big Vaccine INC and advance the depopulation agenda. The Autism/ASD/Vaccine Damage epidemic is found in all countries that have allowed mass vaccinations. It is found nowhere else. Folks when do we wake up? Please don't consider me rash; I was a fan of Gates when he stood up to the NSA and would not allow these thieves to put a back door in his operating system. Gates is now working for the evilest most psychopathic people on this planet. Is Gates one of these evil people? The odds strongly favor it IMO. Doctor Susanne Humphries speaking on polio in Israel. EXCELLENT! IMO a healthy kid drinking good clean water with an intact immune system and NOT full of sugar, is in little danger from polio. The "polio vaccine" however introduced the SV-40 cancer causing virus in over 100 million people. The number continues to grow as the SV-40 is passed from parent to child. This vertical transmission has occurred through three generations so far and may continue FOREVER. What a bio-weapon this "polio vaccine" was. It is beyond clear to ME that the SV-40 carcinogenic viruses did NOT just happen to be included in the "polio vaccine", they were deliberately put in to seed a long term population reduction. In fact the more I learn about the development of AIDS the worse this episode gets. So the question you HAVE to ask yourself is "Is a SV-40 type of carcinogenic virus contained in the "political pandemic vaccines" being shoved down our throats?" You can probably guess my answer. Doctor Suzanne Humphries discusses vaccines and polio. Video.